If you’re shopping online for car covers, then you’ve come to the right place to discover the benefits of these automotive accessories. We will start by saying that this type of product does not need to be bought from a local shop or big box store to ensure proper fitment. A custom fitted car cover bought online will be tailored to the exact sizing and dimensions of your vehicle. All you have to do is select your year, make, and model. And of course, the type of car cover you want. The rest is taken care of for you. Easy, right? You don’t need to stress about whether shopping online for car covers is the right way to go! Let’s focus on the important stuff and tell you what some of the major benefits of car covers are. All the products mentioned in this article are available for purchase online -- making it convenient for you to store your vehicle properly. Let’s start uncovering the benefits, shall we! 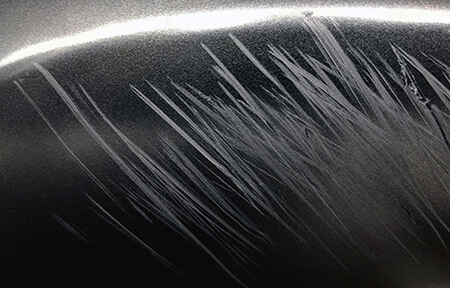 If you’ve ever had your car scratched, you know how frustrating it can be. The reality is that scratches happen. Unfortunately, they don’t just happen when you’re driving your car, they can happen when your car is parked or stored. When a scratch occurs in this situation, it can be even more infuriating. In order to avoid this unnecessary frustration (and cost of repair), all our car covers offer different levels of protection for your vehicle from indoor and outdoor hazards. 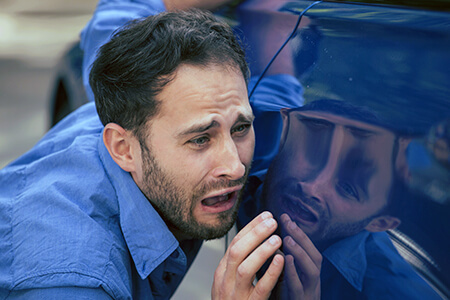 Car covers can protect your car from all sorts of damage, including those pesky scratches that can quite frankly, ruin your day. Once you’ve gone ahead and purchased your car covers online, you will be one step closer to protecting your vehicle from costly dents. Thick materials, like Coverbond-4™ Heavy Duty Car Covers, will do the trick when a car is parked outside and needs a higher level of protection. If your vehicle is parked indoors and you need a lightweight, light-duty car storage option, there's always Triguard™ Lightweight Car Covers. This one is cost-effective, but still offers great overall protection. We all love our children, but when they cause damage to our cars, this is a big no-no. Especially when it’s brand new, vintage, or your prized possession. 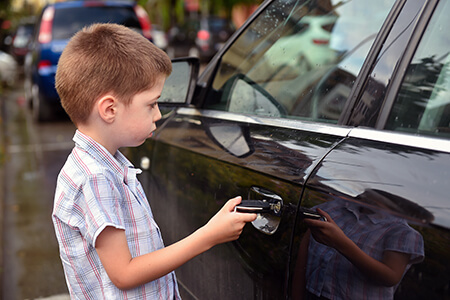 You may not be able to completely stop kids from playing around your vehicle with markers or toys, but you can certainly protect it for when they do. If you’re worried about damage caused by children, look for a product that has multiple layers of protection with multi-purpose usage. This will ensure all-around protection from whatever life throws at your car -- or in this case, your kids. Another addition to the family that can cause damage to your vehicles are dogs. There’s always the lively ones that may jump up on the car, but that’s not the only situation with potential for damage. 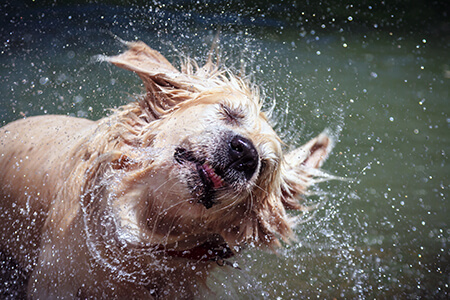 Another situation, that you may not have thought about, is when your dog is wet. Many dogs will try to do anything and everything they possibly can to dry off. We call this, “Wet Dog Mode”. That’s not to say all dogs will do this, it just depends on the dog. But, rather than take the chance, keeping a car cover on a vehicle that’s being stored is a good idea to avoid this type of exterior damage. Mistakes happen, Dumb mistakes for that matter. There’s no doubt about that. You can’t always stop others -- or yourself even -- from dropping something on the hood or bumping into the door with hard or sharp objects, like tools, metal bins or bikes. To dummy proof your vehicle and protect it from silly mistakes that can actually be quite costly, a simple, yet effective solution is a car cover. 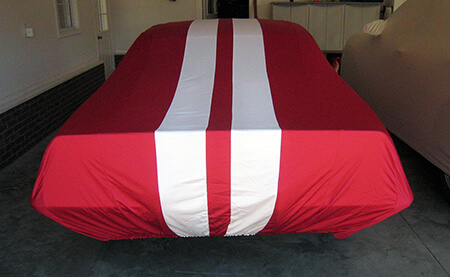 Any of our car covers found online will protect your vehicle when parked in your carport or garage. They will significantly reduce damage from these types of mishaps. Don’t worry, it happens to the best of us. While mistakes can happen, the most damaging culprit to your car’s exterior and finish is the weather. Typically the most wear to your exterior comes from rain, hail, and snow. Overexposure to any of these types of conditions can have some serious effects on the body of your car. For example, If ever your car is caught in a heavy hail storm, you may see speckled denting in concentrated areas. This is obviously not attractive and costs more than you’d want to pay to have it fixed! Adequate coverage of your vehicle with the proper level of protection is essential to preserving your car’s exterior. 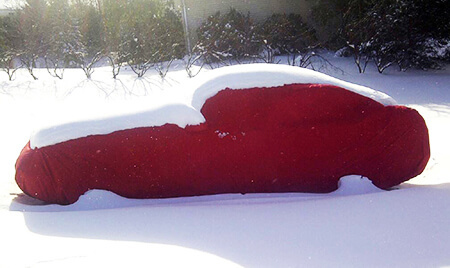 You will want to look for heavy duty car covers for severe weather conditions. We’ve covered the protection side of car covers and the benefits. Let’s check out the other main category: Prevention. 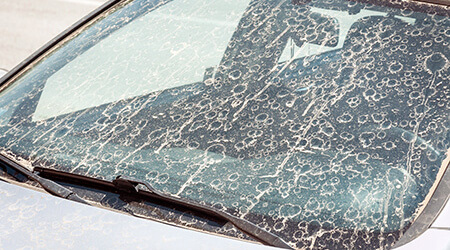 When a vehicle is stored for long periods of time, dust can accumulate, coating your vehicle in a dusty film that is both annoying to clean and not aesthetically pleasing. This may not be a concern for all, but dust on a classic Porsche, Corvette, or Mustang is just not right. The best way to avoid dust from coating your stunning, vintage (and clean) car is with Premium Indoor Satin Stretch Car Covers. These are ideal for long-term indoor car storage. These will snugly wrap around your baby, protecting it. When you order these car covers online, you are given endless options in personalization as well, making the ordering process even more enjoyable. While your car is parked inside, dust can be a real problem. But what about when your car is parked outside? Dirt and mud are even more problematic outside. Unfortunately, not everyone has a garage. As such, car covers are there to prevent dirt and mud from sticking to your car. There are a number of car storage options available for this type of use. The best thing to do is to read through product descriptions and order based on what weather conditions your vehicle will be dealing with. This will help you get the best product for your needs. If your car has to sit in the sun, there’s a pretty good chance some fading will occur, especially with darker colored cars. However, when you have no choice and have to store your car in the blazing sun, your best bet to prevent serious fading and sunspots is with a sun proof car cover. One great product for this usage is the Silverguard™ Sun Car Covers. It has a special exterior layer of fabric designed specifically to resist damaging UV rays. Preventing fading from occuring during long-term storage, or sometimes even short-term depending on the climate, will benefit you in the long run. You’ll maintain the overall resale value of your vehicle as you're preserving the exterior and finish. In fact, the same thing can be said for many of the indoor and outdoor hazards mentioned in this article. As the saying goes, when it rains, it pours. Rainstorms, among other bad weather conditions, can promote rust and decay if your vehicle is not properly stored. 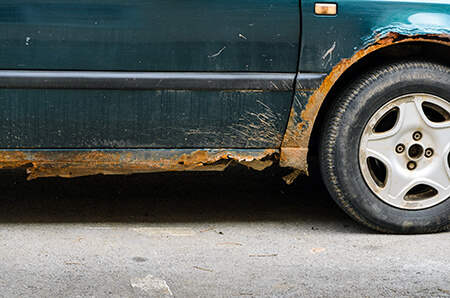 Rust can also be the result of an untreated scratch or dent, which, when exposed to bad weather constantly or for long periods of time, can grow and begin rusting. The benefit of car covers in this respect is rust prevention. Long lasting and long-term car covers will ensure your vehicle is fully protected, while still promoting proper airflow. For this type of protection, there are products, like Coverbond-4™, Triguard™, and Stormproof™. Once again, keep in mind the severity of the weather conditions your car will be parked in. This will guide you to the right product. We've discussed some of the major car cover benefits and how they will help you protect and prevent unwanted damage from happening. If you take one thing away from reading this, it should be that every car cover has different levels of protection. When shopping online for car covers, look for a product that is going to benefit you the most.